So, Pavlov’s experiment was ringing a bell for a dog before he feed him, so that he could condition a response in the dog. It worked. Every time he rang the bell the dog would start salivating because he knew dinner was coming. This had human applications but I really don’t know what I’m talking about so I’m going to leave it at that. 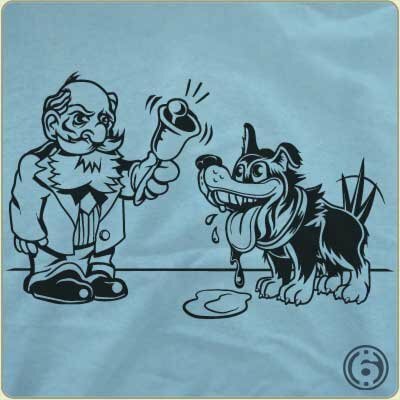 I like both of the characters on the shirt and the way that dog is looking at that bell.